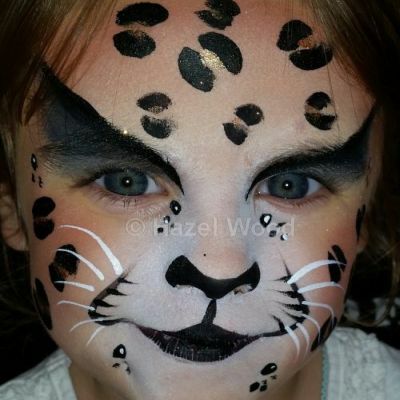 Leopard face by Hazel Wood. 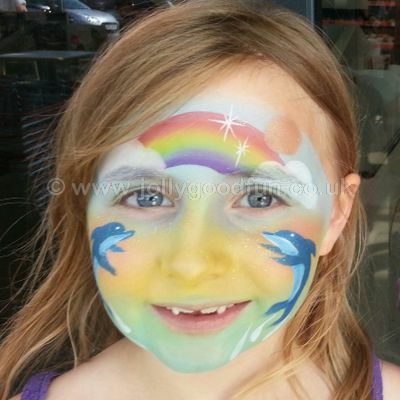 Rainbow Dolphin design by Hazel. 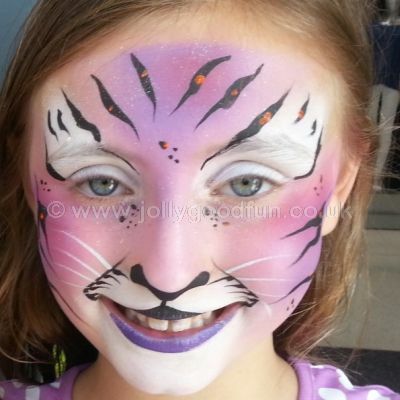 Purple Tiger face by Hazel. 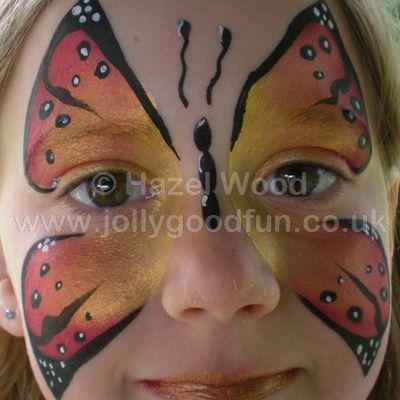 Flower mask design by Hazel. 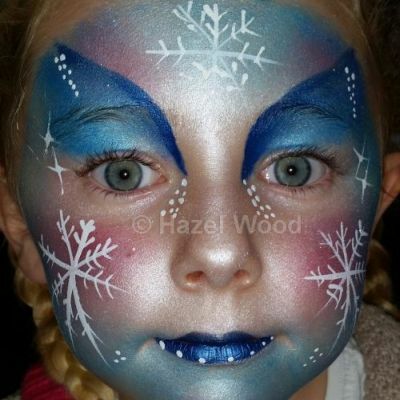 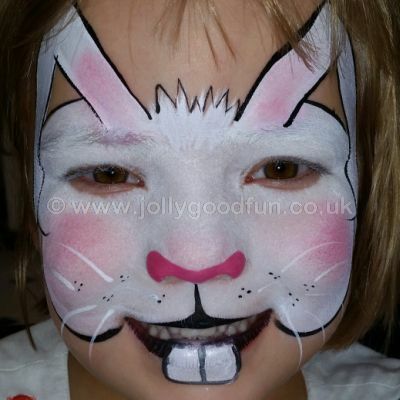 Dalmatian Face painted by Hazel. 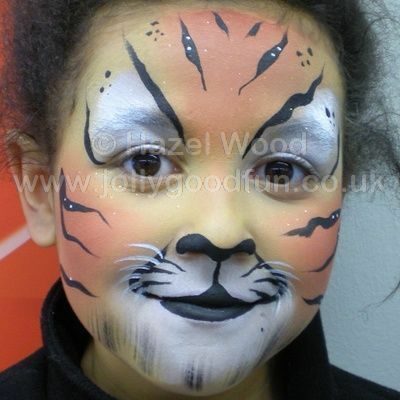 Tiger Face by Hazel Wood. 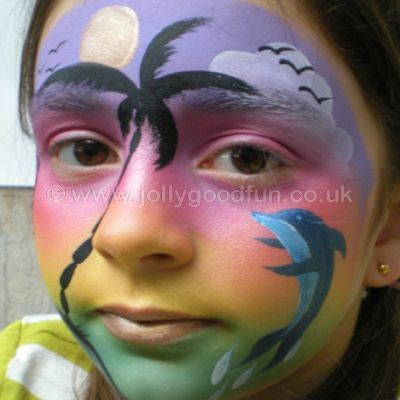 Sunset Face painted by Hazel. 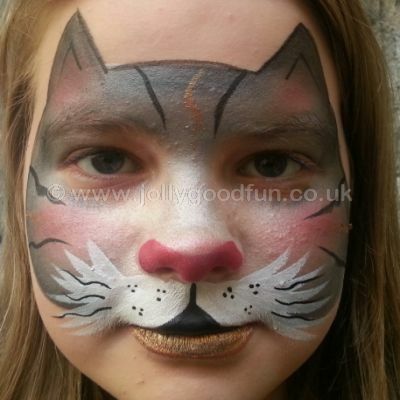 Cat face by Hazel Wood. 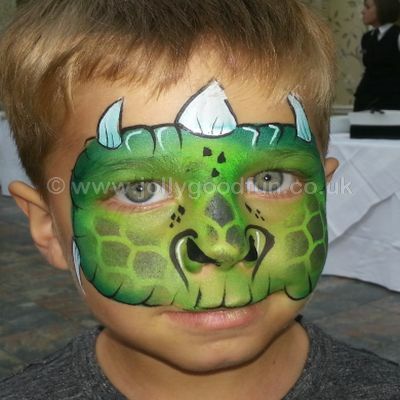 Green Dinosaur face by Hazel.